The deadly obstacle between you and a fortune in gold bullion stored in the hold of a sunken wreck is a school of monster sharks. Strong graphics give depth to this all action deep sea adventure. 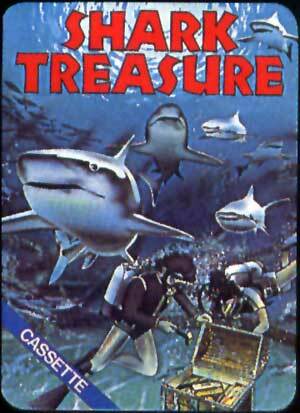 Nice game where you have to leave your boat an dive down to collect gold bars, whilst avoiding the sharks. Kept me entertained for some time :-).